Auto-rickshaw use is booming in Northern India. Photo by Akshay Mahajan. In countries like Egypt, the Philippines and India, auto-rickshaws—called anything from “tricycles” to “tuk-tuks”—are zippy, motorized, three-wheeled vehicles that double as transport and moving street art, as shown in the pictures below. 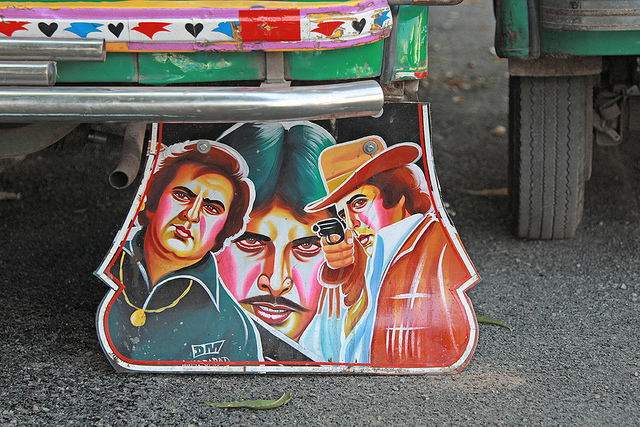 A hand-painted Bollywood-inspired mudflap in Ahmedabad. Photo by Meena Kadri. In India, these “glamorized” vehicles are about to become even more pervasive. NPR reported today that permits for auto-rickshaws in New Delhi are set to double. Rickshaw drivers often attract customers by decorating their vehicles with festive colors and embellishments, including seats adorned with Bollywood movie posters. 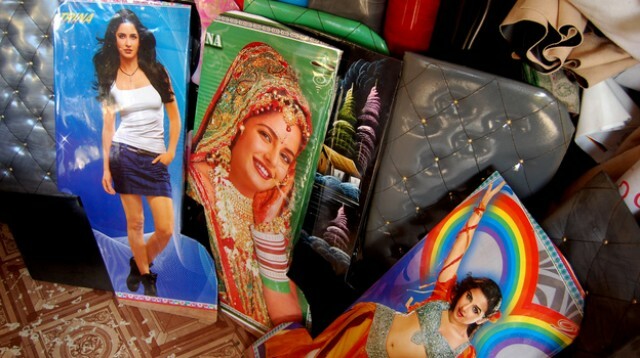 Bollywood-themed seat covers for auto-rickshaws. Photo by Elliot Hannon, for NPR. Meanwhile, just west in Gujarat State, the city of Rajkot, in partnership with EMBARQ India, launched its first auto-rickshaw fleet today. With so many auto-rickshaws populating the road, how to choose which one to take may just be a matter of aesthetics. 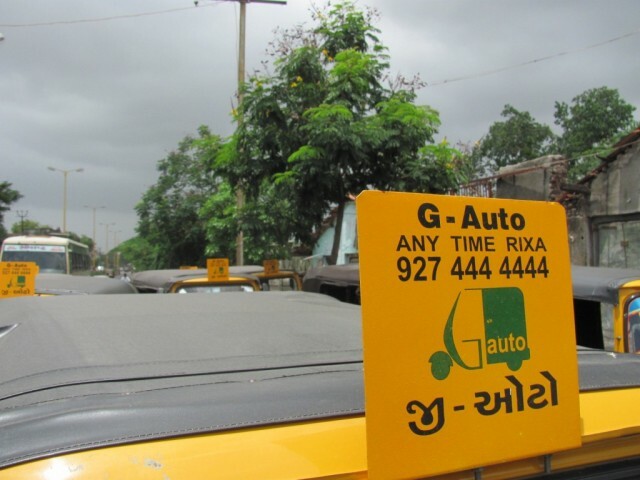 The roof of a new auto-rickshaw in Rajkot, India. Photo by EMBARQ India.